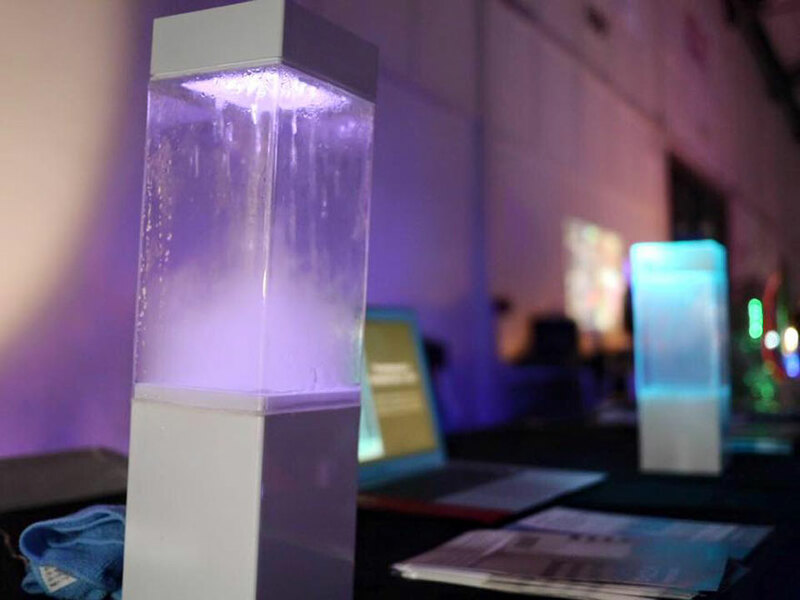 Ken Kawamoto, a software engineer by day and gadget inventor by night, likes to “break the barrier between the digital world and the real world ,” and he has done just that with his latest invention – the Tempescope. 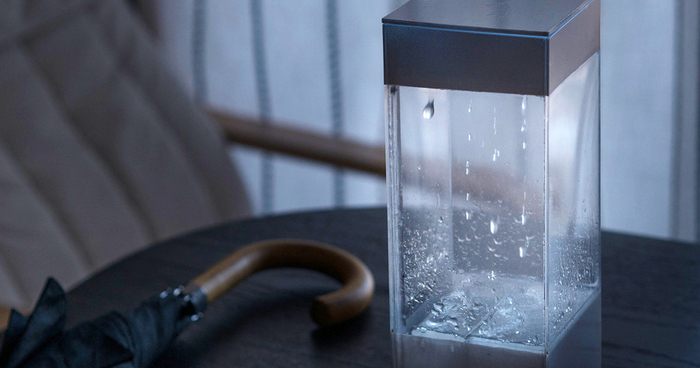 This little box can create real raindrops and clouds and simulate lightning and sunlight to show you the weather forecast or real-time weather display. 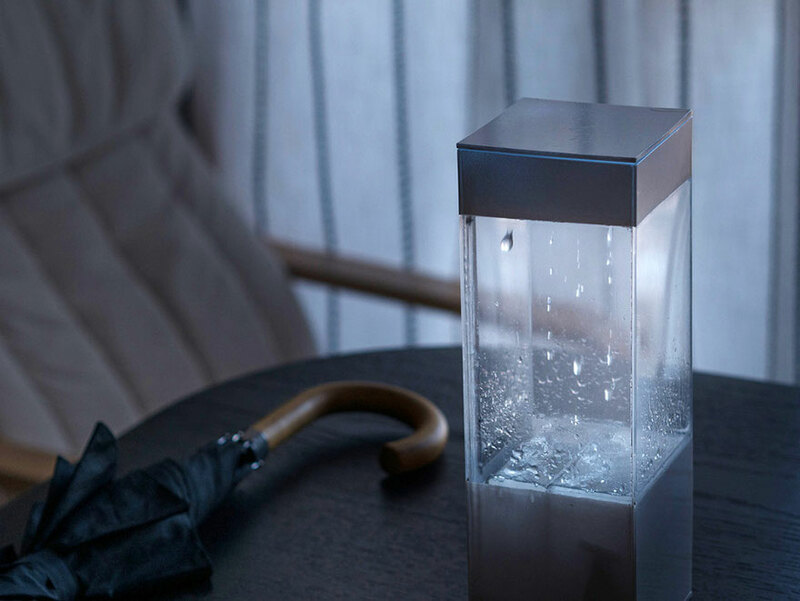 The device interfaces with internet forecasts and weather programs, meaning that you can use it to tell you what the weather will be like tomorrow, or to find out what the weather is like right now for friends and loved ones around the world. Unfortunately, the box doesn’t create snow! Kawamoto has released the code and schematics for his device on open source, meaning that anyone with the technical chops can make one for themselves. For the rest of us, he will be launching a crowdfunding campaign later this year. 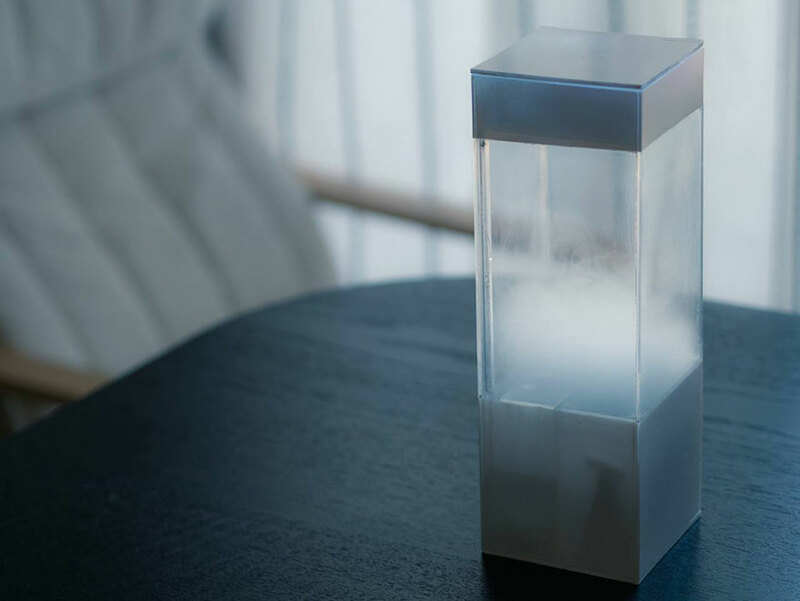 If you like this invention, check out this interactive Cloud lamp as well! Why? Has looking out a window become passe? Well, some people live in underground, or half-underground flats with windows looking like they're literaly on the floor from the outside. But even when you don't live in a place like that, so many people's window view is just the building next door. What I'm saying is, not everybody can see the sky from home. Why? Has looking out a window become passe ? for the same reason people have lava lamps? I thought it has the capability to forecast weather. If it needs a PC...it's just another thing to occupy space.